The U.S. Fish and Wildlife Service has begun notifying individuals of acceptance as a team member for the Desert Tortoise Recovery Implementation Teams. The RIT consists of land managers, stakeholders, and scientists with an interest in Mojave desert tortoise recovery. John Stewart, member of the Board of Directors for BlueRibbon Coalition, Natural Resources Consultant for California Association of 4 Wheel Drive Clubs, Managing Editor for the MUIRNet-News family of websites, has been selected as OHV Community representative with the California Mojave Recovery Implementation Team will be working primarily with the Western Mojave workgroup of the California Mojave RIT. There are three RITs (California Mojave, North-East Mojave, and Upper Virgin River) covering California, Nevada, Arizona, and Utah. Each RIT will develop a 5-year recovery action plan and associated annual work plan for their geographic area. This is expected to be an on-going effort for up to five years. My acceptance of this provides for the OHV Community to be a stakeholder in the Desert Tortoise Recovery Planning effort. John Stewart is a long-time motorized recreation advocate for access to public lands for recreation opportunities. 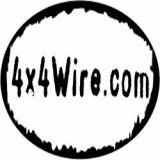 To learn more about recreation and environmental issues affecting recreation on public lands, follow John's postings on 4x4Wire, MUIRNet-News and 4x4Voice.